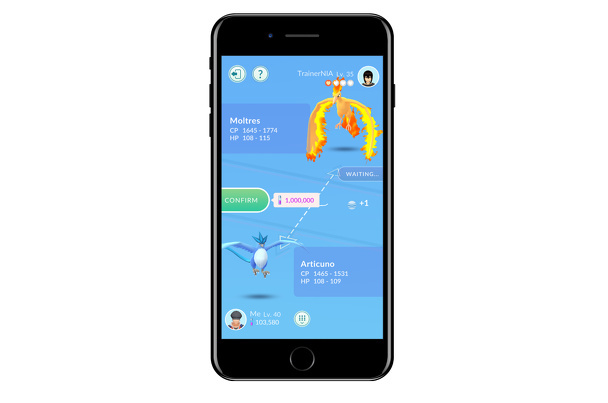 Pokémon GO is about to finally get a few of its most requested features: a friends list and the ability to trade Pokémon. 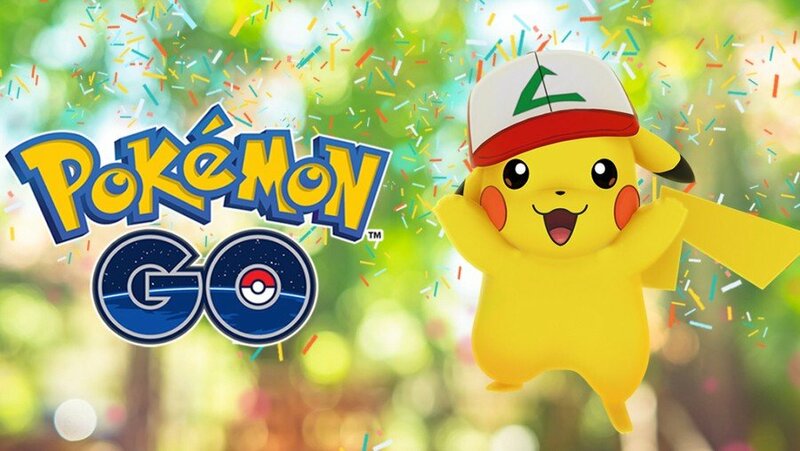 As if it couldn't get any bigger, Niantic has somehow found a way to make us all excited about Pokémon GO again. In this guide, we're going to run you through everything we know about the upcoming update so far, to try and give you a running start when it finally launches. Bear in mind that all of the information in this guide is subject to change, but we will update it when the the update is out for real. Niantic hasn't revealed an official release date just yet, but it has announced that the Pokémon GO trading update will play a big part in the Pokémon GO Summer Tour event. That's set to begin on June 30th, so at the very latest you'll be able to make friends and trade by then. However, it realistically could launch at any moment, so stay poised. 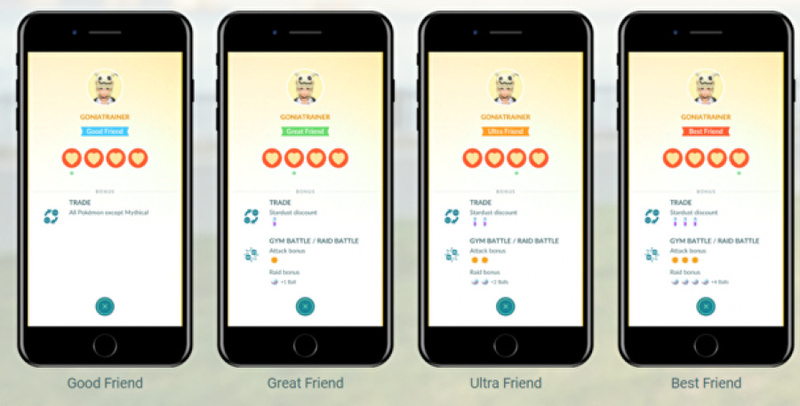 As part of this update, you'll be able to make friends within Pokémon Go for various special bonuses. Considering that it's actually far more worthwhile to trade with friends, we'll start here. Below we'll tell you exactly how to make friends within Pokémon GO, and the bonuses you'll receive for doing so. Friendship in Pokémon GO acts pretty much the same as it does across all of Nintendo's platforms – via a code. This will likely be displayed on your trainer's profile page, but we'll update this guide when the update's out with the exact location. You'll simply provide this code to a friend who can add you via the friends list and you're besties for life. You can send gifts to each other. You'll do more damage when raiding and attacking gyms together, and receive extra PokéBalls to catch raid bosses with. These benefits increase as you increase your friendship level. When the update launches, there will be four different friendship levels: Good, Great, Ultra, and Best. Refer to the image below to see exactly what bonuses you get per level. To increase your friendship level, you have to send gifts to each other. When the update launches, you'll start receiving special gifts from spinning PokéStops, and can send these to your friends. You can't open a gift yourself. They'll receive a few items and a postcard for the PokéStop's location, and you'll get a nice boost to your friendship level. In Pokémon GO, it pays to be nice! Gifts can contain rarer items too, like Eggs, and different Pokémon forms like Alolan. They can also contain a special 7KM Egg that contains a Kanto Pokémon's Alolan form. While we haven't put any of this into practice, Niantic has released a bunch of information about how trading will work in Pokémon GO. There are two types of trading: regular and special. You'll unlock regular trading at Trainer level 10 and can perform this type of trade with any other Trainer. However, Special trades are limited to friends only, and you have to reach at least Great or Best Friends to perform this type of trade. We'll go through how it all works below. You can only trade Pokémon once you've reached Trainer level 10. During a regular trade, you can only trade Pokémon that are in both of your Pokédex's, and you can't trade Legendary or Shiny Pokémon. You have to be within 100 metres from the person you're trading with. When trading Pokémon, you will see the CP and HP range of the Pokémon you will get. Each Pokémon's stats will be affected by the trade, though we're not sure exactly how right now. Trades cost 100 Stardust, and you will receive a Stardust discount while trading with friends. The amount discounted depends on your friendship level. You will receive bonus Candy for trading, and this is relative to the distance between where the Pokémon were caught. Presumably, you'll receive more Candy the further the distance the two Pokémon were caught. Special trading allows you to trade Pokémon that are not in your Pokédex's, as well as Legendary and Shiny Pokémon. You have to reach Great or Best friendship levels to perform a special trade. That's all we know about the trading and friendship features at this point, but we'll update this guide as soon as we learn more. Can they give us the option to link to our Nintendo account like with other Nintendo Mobile games? Also why the in-person rule?! It's a PHONE game. It's a game that REQUIRES an internet connection! Still, I am glad we are getting the feature, finally, at all. But jeez, talk about taking what should be a straightforward and simple thing, and making it much harder than it needs to be! "You have to be at least 100 metres away from the person you're trading with." Pretty sure that should read "within 100 meters". @Heavyarms55 if they did not have personal interaction in real life, it would degrade that concept of exploration the game encourages. It also would enable more and more criminal activity to occur. It's actually a good idea in a long run. At one point trading was a really exciting concept for me, but now? It actually makes me less enthusiastic. I feel like this part of the game has the potential to take over the main game, and then it won't be about what it currently is, which I rather like. Guess we'll see! @LordGeovanni I dunno, they may literally want to make sure people aren't meeting up in dark alleys or something. Honestly, it could be away from, not within. @Heavyarms55 Pokemon Go has one of (if not the) best communities for any game. This is mainly down to the fact that you have to be physically near other players to raid etc and so there is no screen to hide behind. It makes sense trading only works with those in the local vicinity. I’m surprised they let it be within 100m. I was expecting both players to have to be near the same Pokestop. This is quite fair since the requirements are quite demanding if you want a rare/unseen Pokemon. I was worried when they come out with trading (yes I still had hope) it would be similar to the main series online trading with all the exploits and abuse. Taking offline social interaction to the next level, an introvert/nethead worse enemy. I've always thought it would be cool if we can play Pokemon Go on the Switch. Probably not the actual game since that requires being online via a cell service but some kind of app where we can log in with our Pokemon Go account and do stuff via wi-fi or the Nintendo online service. 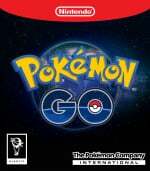 @meltendo This will be the Let’s Go games launching in November. We’ll get to duel there before PK GO. Makes me wish the Pokémon (video game store) hub near my place didn’t shut down. Eh we’ll, Discord will help meet up. @RadioHedgeFund @LordGeovanni But not everyone can meet up with friends regularly in person at the same time and place. Some people have friends who live far away, and this would have been a way to let those people enjoy the game together too. Like was said, we already have raids and the whole game is built on physically going out and exploring, so none of that aspect would be lost. @Heavyarms55 I don't see why the core concept of the game should be compromised simply because a few people want to be able to operate directly against the main purpose of the game. It is not as though they are suggesting you need to meet up 90 days in a row. The 90 days for best friend status would be a long time achievement for friends and family that live multiple States or countries away. The system has been thoroughly dedicated towards enriching the game as a whole. You can tell this with the concepts of special trades and rerolling IVs. The idea of having to meet up is actually pretty interesting and I like it alot. In addition, it sounds as if you only need to have good friends status, the equivalent of 7 days, to be able to make special trades at all. If putting more effort in then that is too much for you perhaps the high cost of Stardust is justified. @LordGeovanni I have no problem with the stardust cost. My issue is that I have friends who live literally on the other side of the planet and it is near impossible for me to actually see them in person with any frequency. AND this is a game, that already requires an internet connection to play, yet requires you to physically interact with other people to make trades. Even when the real Pokemon game has not required that for almost ten years! It would be fair if trades online were highly limited. Perhaps, double the stardust cost, and only 1 time a week, or even a month, unless you by a premium online trade pass (similar to raids) but not being able to at all is silly and grossly unaware that a large part of its player base are adults who play on commute and such and can't always meet up with people. That huge 40,000 stardust cost is extremely high. I feel that would greatly discourage trading with friends to complete your Pokedex. sigh I'm glad they're finally adding trading but why did they have to make it so much harder than the old gameboy originals to trade? So basically I can't trade with someone in America for Tauros, or someone in Australia for Kanghaskhan, etc. Wow this Trading update is pointless. @Heavyarms55 you need to get out on community day to your cities’ main park and meet the community. The place I always go has upwards of 300 people turn up, from 8 to 80. We had a 70-person Mewtwo raid going on back in April! Your local community probably has a discord chat going off to book raids etc. It’s worth getting involved in. @RadioHedgeFund I have absolutely no problem finding random strangers who play the game. That isn't remotely a problem. I live in Japan and play regularly in Kyoto.